Издание: Gulf Publishing Company, Houston, 2009 г., 415 стр. The role of natural gas in meeting the world energy demand has been increasing because of its abundance, versatility, and clean burning nature. As a result, new gas exploration, field development, and production activities are under way. This is especially true in places where natural gas was (until recently) labeled as “stranded.” Because a significant portion of natural gas reserves worldwide are located across bodies of water, gas transportation becomes an issue. We are dealing with many unique issues and facing many challenges in the entire “food chain” (upstream to midstream and downstream) of natural gas engineering. • The unique new technologies such as different interpretations of 3-D seismic in natural gas exploration. • The specific requirements in gas well drilling. • The need for the hydraulically fracturing of high permeability gas well to bypass the damage but most importantly to reduce turbulence due to high well deliverability. • Natural gas sea-going transportation such as liquefied natural gas (LNG) and compressed natural gas (CNG). • Gas conversion and storage. • Alternative and competing energy sources. None of these new issues and challenges have not been addressed in depth in any existing books. Another reason why we put this book together is based on our observations of young professionals and graduate students. With the power of current computing technology, many companies are offering different software to solve engineering problems. Many young engineers and students are good at running programs and plotting beautiful graphs without knowing what the numbers and figures mean. Somehow people have lost their fundamental abilities to tackle problems without using a computer. 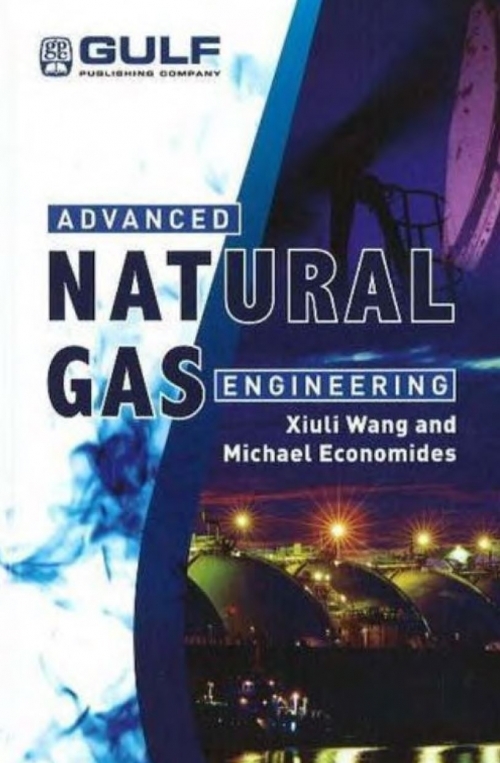 Here, besides addressing the advanced engineering issues related to natural gas, we also provide equations along with examples and detailed calculation procedures of fundamental chemical and petroleum engineering problems. This book can serve as a reference book for all engineers in the energy business as well as a textbook for students in petroleum and chemical engineering curricula and in the training departments of a large group of companies. A book like this, due to its multidisciplinary nature, requires input from a number of friends and colleagues. The authors wish to thank Profs. Russell D. Ostermann, Michael Nikolaou, Ali Ghalambor, and James Richardson for their contributions. Thanks to Profs. Russell D. Ostermann, Shari Dunn-Norman, Victor Nikolaevskiy, Dr. Iskander Diyashev, Dr. David Wood, and Mr. Tony Martin for reviewing this book. Special thanks go to Lindsay Fraser and Phil Lewis for providing valuable information and critiques. George Song, Seth Myers, Matteo Marongiu-Porcu, and Wenbo Liu.